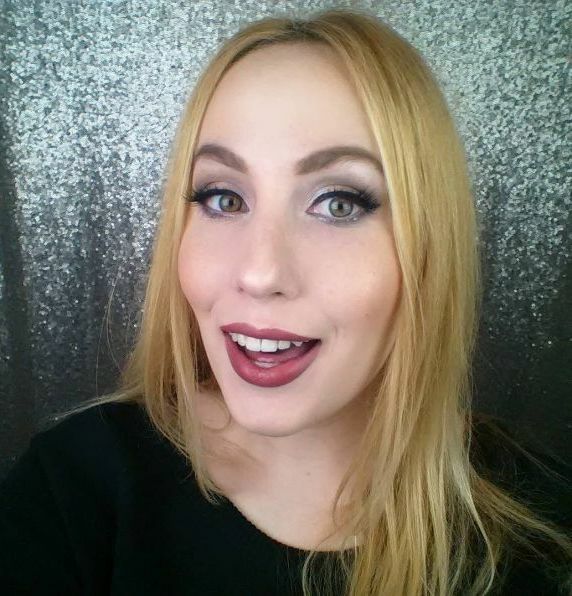 It’s about time I shared my most recent beauty haul. I got some goodies (lots of glitter-y items), so let’s get this show on the road! 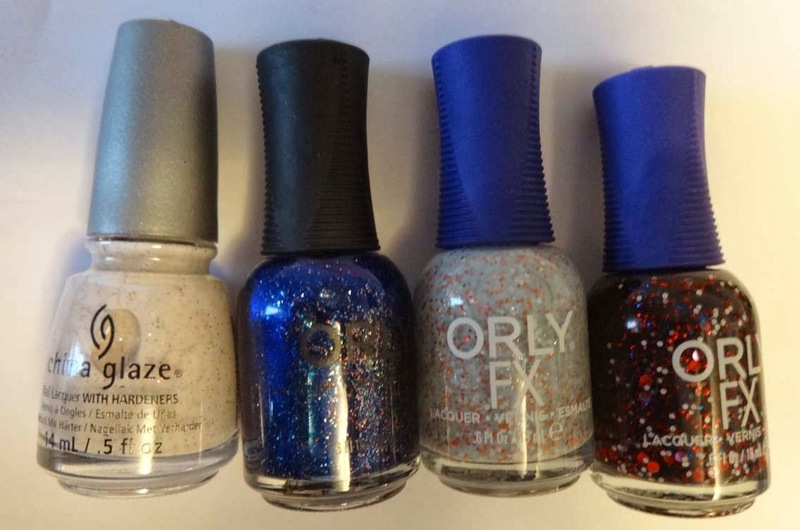 L-R: China Glaze “Sand Dolla Make You Holla”, Orly “Macarbre Masquerade”, Orly “Milky Way”, Orly “Black Hole”. My first purchase at Sally’s, and my first full-size Orly’s! Some were on clearance, and they were all on buy 1, get 1 free, AND I used the Sally’s birthday coupon, on top of that, so needless to say, I’m pretty happy with my first time buying from Sally’s. L-R: Sinful Colors “Flirting Nails” (form Dollar Tree), Hard Candy “Pixie Pink”, and “Cotton Candy Pink” (from Wal-Mart). Heads up, these specific Hard Candy polishes are half price, I’m guessing that they’re probably being cleared out to make room for the new Hard Candy collection, in the US. 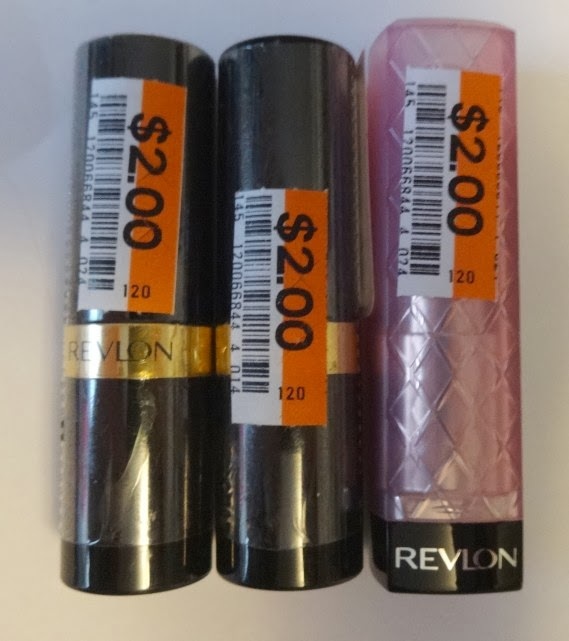 L-R: Revlon lipstick “Mauvy Night”, “Just Enough Buff”, and Revlon lip butter”Gumdrop”. 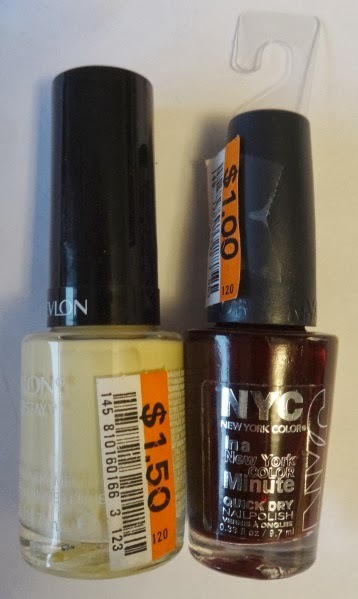 L-R: Revlon “Buttercup”, NYC “Lincoln Center”. 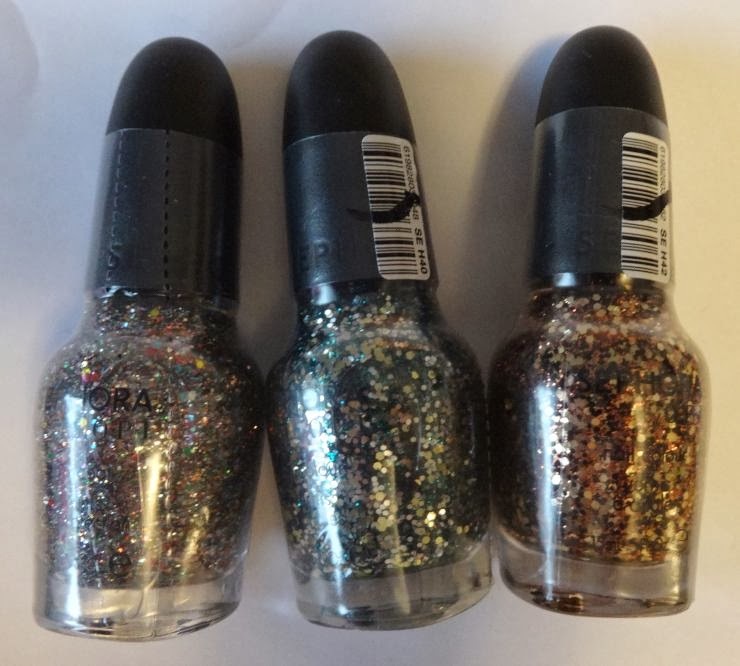 L-R: Sephora by OPI “Spark-tacular!”, Lights, Glammer-a, Action!”, and “Come To Pappa-razzi!”. 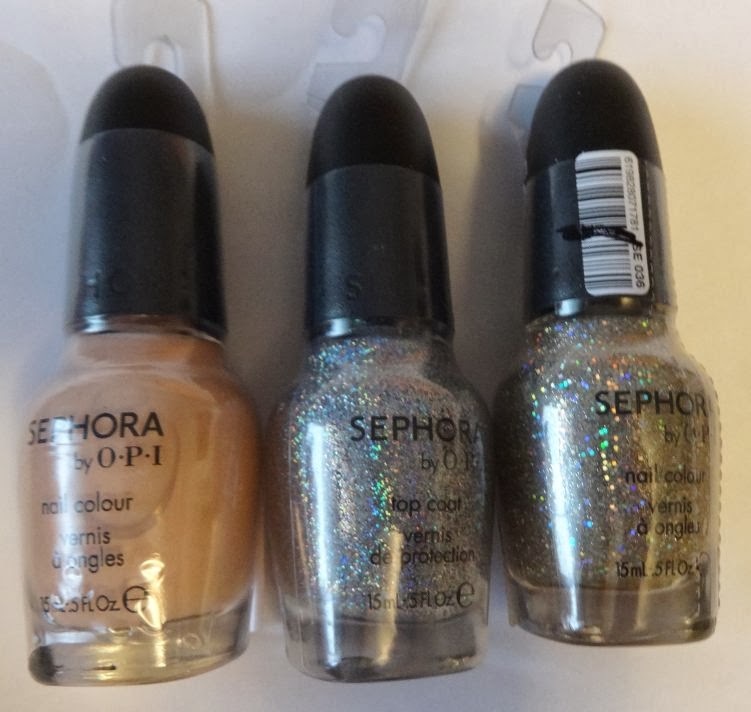 L-R: Sephora By OPI “I Gotta Blush On You”, “Meet Me At The Disco”, “Looks Like Rain, Dear”. 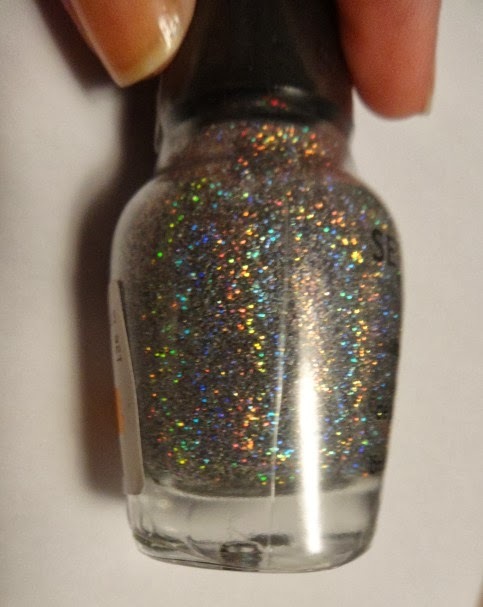 Quick note, check out the photo below of a close-up of “Meet Me At The Disco”. Check out that Shine! Looks like that’s all from my haul! 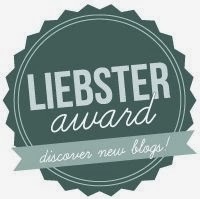 A small one, but a good one – and bonus points for every one of my purchases being on sale. Check out some of your nearest beauty stores, pick up something you’ve had your eye on, and don’t forget to ‘treat yo’ self’ to a mani!